Firstly, congrats to Karley at All In for hitting 700 posts! 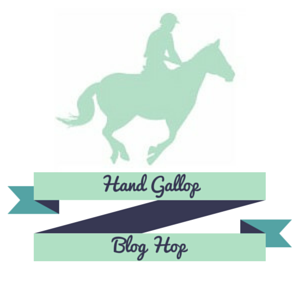 Check out her blog for a celebratory contest. Boots – Splint boots front and behind (black – hard to see), bell boots on fronts. Bridle – Not sure what it is precisely, it came with Hannah. 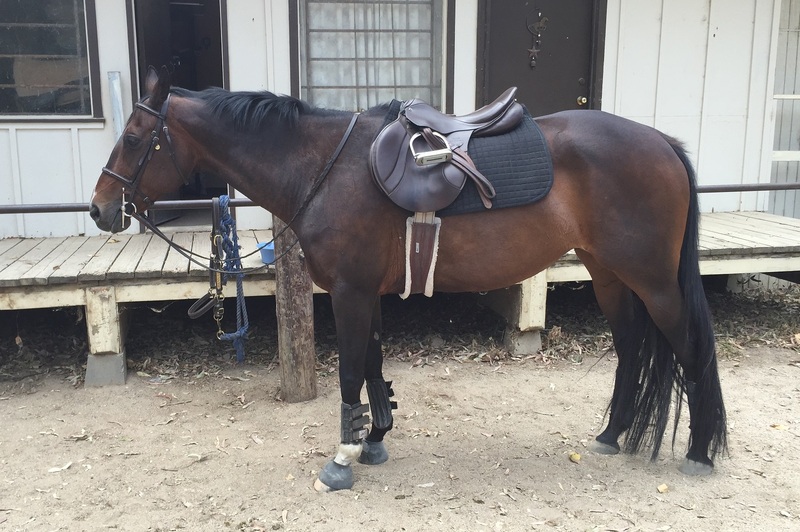 But its a very nice standard hunter bridle that matches my saddle nicely. 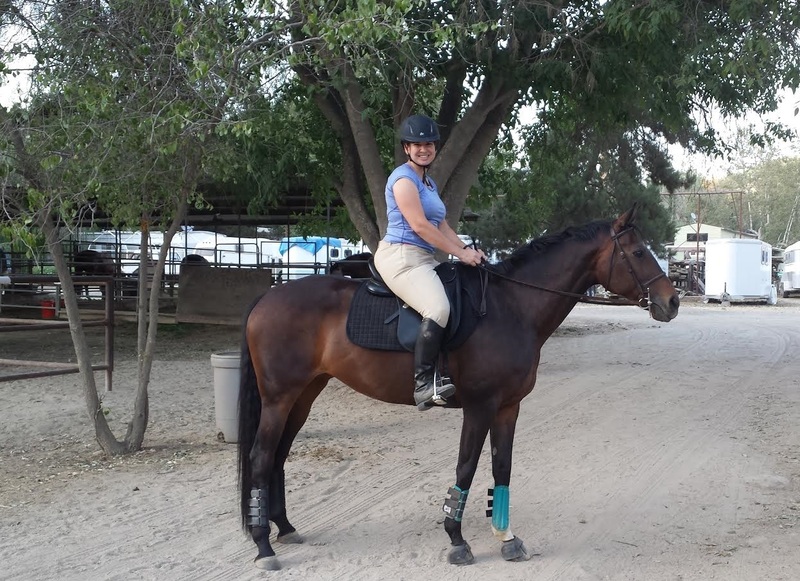 I’m sure our dressage setup will change before we hit the show ring so we can be more matchy-matchy. And I think we’re going to start experimenting with different bits in general. But for now, this is what we are using. Hannah is the CUTEST, whatever she's wearing! You look great together, and Hannah is adorable!